A new of its kind study published in the Journal of Hepatology reports that longer duration of breastfeeding particularly greater than 6 months, is associated with lower risk for developing non-alcoholic fatty liver disease (NAFLD) years later during mid-life. Researchers at the University of California, San Diego School of Medicine and Kaiser Permanente in a collaborative research suggest that with no other current prevention options for NAFLD apart from a healthy lifestyle, the findings may represent an early modifiable risk factor for a serious and chronic disease. Ajmera and his colleagues hypothesized that a longer duration of lactation would be associated with lower prevalence of non-alcoholic fatty liver disease (NAFLD), which is the leading cause of chronic liver disease in the United States. Participants from the Coronary Artery Risk Development in Young Adults cohort study who delivered ≥ 1 child post-baseline, and underwent CT quantification of hepatic steatosis 25 years following cohort entry were included (n = 844). The women were assessed for biochemical and other risk factors at enrollment from 1985 to 1986. Those who subsequently gave birth reported the duration of breastfeeding for each birth over the following 25 years. 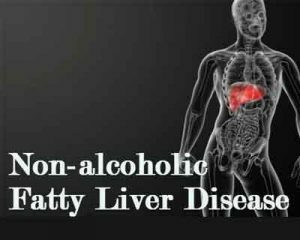 At the end of the study, participants underwent a computed tomography (CT) scan of their abdomens, which allowed researchers to look at levels of liver fat, a sign of NALFD. The study found that women in the cohort who breastfed one or more children for longer than six months had a lower risk of NAFLD compared to those who did not breastfeed or breastfed for under one month. Typical of NAFLD, women diagnosed with the disease 25 years later had a higher body mass index, larger waist circumference, higher triglycerides, and lower HDL cholesterol when compared to those without NAFLD.